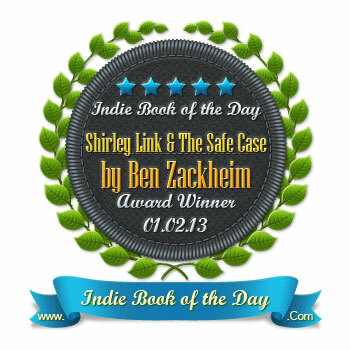 Shirley Link & The Safe Case has won the Book of the Day award! I was delighted to wake up and see that Shirley Link & The Safe Case had won the Book of the Day award over at Indie Book of the Day! Writing is a tough business, so anytime my peers take notice, I’m delighted. I’ve been a fan of the site for awhile. Score!